Considering the environmental, economic, and public health concerns surrounding the issue, it is no surprise that plastic water bottles are the next big thing to ban. Treehugger.com gives a world of reasons to turn to your tap. A more in depth article on the National Resources Defense Council site outlines even more reasons to avoid bottled water. But what about “taste”? Well, Aquafina has admitted that it’s source is tap water and it is likely that other bottled water manufacturers are likely to follow suit. Still having tap trust issues? 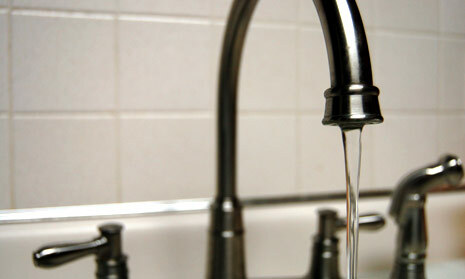 Get local drinking water information online at the EPA web site. Likewise, if more people drink tap water, the demand for higher quality water will stay consistent. So save yourself some cash, and help out the environment but filling up a SIGG or Klean Kanteen. Nalgene has been getting some mixed reviews (see their response here), but do deserve a pat on the back for their Refill Not Landfill campaign (proceeds will go to Native Energy). Bottoms up!